So does the poet Irma Pineda López, who reads the commitments drafted by the country’s best-organised teachers’ union, from Oaxaca, the state with the largest indigenous population in Mexico and where 418 of the 570 municipalities have a majority indigenous population and are governed by native customs. The presidential candidate, leftist Andrés Manuel López Obrador, nods. Next to him is Susana Harp, a prominent international singer of traditional Zapotec music, who is a candidate for the Senate for the presidential candidate’s party, Morena. One of the candidate’s campaign pledges is to establish bilingual schools in all regions with an indigenous majority. The event in Guelatao is a sign of a new phenomenon that has begun to slowly emerge in the country: the recovery of native languages. In the last decade, according to the population census conducted every five years by the National Institute of Statistics and Geography (Inegi), the number of speakers of indigenous languages in Mexico increased 20 percent, practically at the same rate as the population growth. In fact, for the first time in 80 years, the downward trend in the population of speakers of native languages has stopped. A good part of this phenomenon is due to the work of young indigenous people who are working to recover the identity, language and territory that their parents and grandparents lost. “We are trying to recover our language and to convince our elders not to sell the land, because we refuse to be ashamed of our indigenous identity,” José Koyoc Ku, a member of the community radio station Yúuyum Radio, which spreads the Mayan voice in Yucatan, in the southeast of the country, told IPS. The Mayas, Zapotecs and Nahuas are the three largest native peoples in Mexico. In Mexico there are currently 68 indigenous communities and 364 languages deriving from 11 language families that survived the Spanish colonial period, when 143 languages were lost, according to the National Commission for the Development of Indigenous Peoples (Conadi). Activists point out that for decades the official narrative emphasized national unity and the argument that, unlike other countries, in Mexico there was no extermination or segregation of indigenous people. Mexico has never had multiethnic policies, and the first form of segregation was the language, since Spanish was established as the only official language, even though when the country became an independent State, almost half of the population was indigenous. 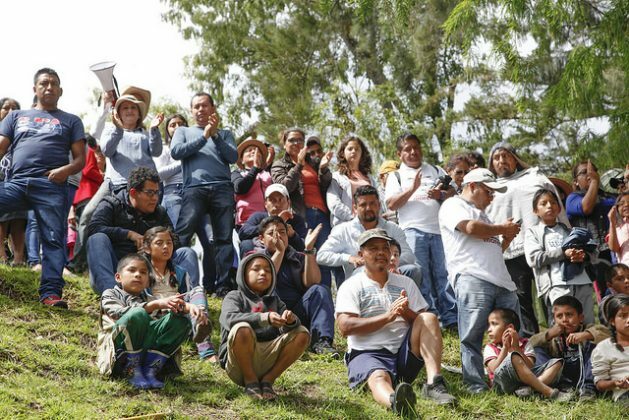 Inegi’s 2015 Intercensus Population and Housing Survey indicated that of the 119 million Mexicans that year, 15.7 million considered themselves indigenous, although only half spoke a native language. 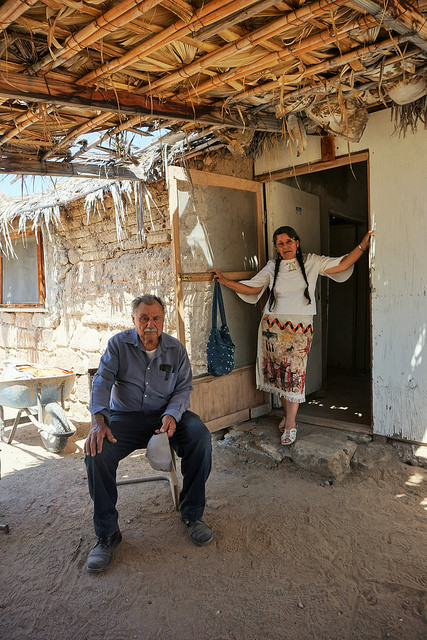 “Our parents and our grandparents were taught Spanish with a cross in one hand and a stick in the other and they were forbidden to speak in their language,” María de la Luz Villa Poblano, a Cochimí indigenous woman from the northwestern state of Baja California Sur, told IPS. At the age of 71, she is leading a battle for the recognition of her people. In May 2017, the National Indigenous Congress decided to participate in the electoral process and to nominate an indigenous woman as representative of the Indigenous Governing Council for presidential candidacy, independent of any political party. “We know that this is perhaps our last chance, as indigenous peoples and as Mexican society, to peacefully and radically change our own forms of government,” the Zapatistas said at the time in a statement. María de Jesús Patricio, the representative selected to take part in the elections, did not manage to move on to the next phase because she was only able to gather a third of the signatures required to be registered as a candidate. But in the different forums she said she was participating because it was a matter of survival. This is because the situation for the native peoples of Mexico is critical, according to studies, experts and representatives of indigenous peoples. According to data from Conadi, 23 of the 68 native peoples in the country are in an “accelerated process of extinction” and of these, 14 are already disappearing, with less than 500 members. The governmental National Institute of Indigenous Languages (Inali), recognises that 64 languages will have disappeared within the next 20 years. In fact, of the 364 linguistic derivations that exist in the country, only 185 are not at immediate risk of extinction. “The languages are threatened because they have little presence in the media and in cyberspace, and they have not been taken into account by public institutions,” said Javier López Sánchez, head of Inali. But indigenous communities have decided to fight for their survival as native peoples. According to official data, the 80-year downward trend in the percentage of indigenous language speakers in Mexico stopped in 2005, and since then the number has kept up with population growth: from six million speakers in 2005, to 6.6 million in 2010, and to 7.3 million speakers in 2015. Since 2005, the percentage of speakers of native languages has remained at 6.5 percent of Mexico’s total population. “They say that we are in extinction, but we aren’t, and we will not be as long as we want to remain indigenous,” Susana Hernández said with conviction during one of IPS’ visits to native communities in the northeastern state of Coahuila. She is from the Kikapú people and she married a man from the Pa Ipai community, which she joined. These are two of the peoples of northern Mexico that, according to official data, are about to disappear.